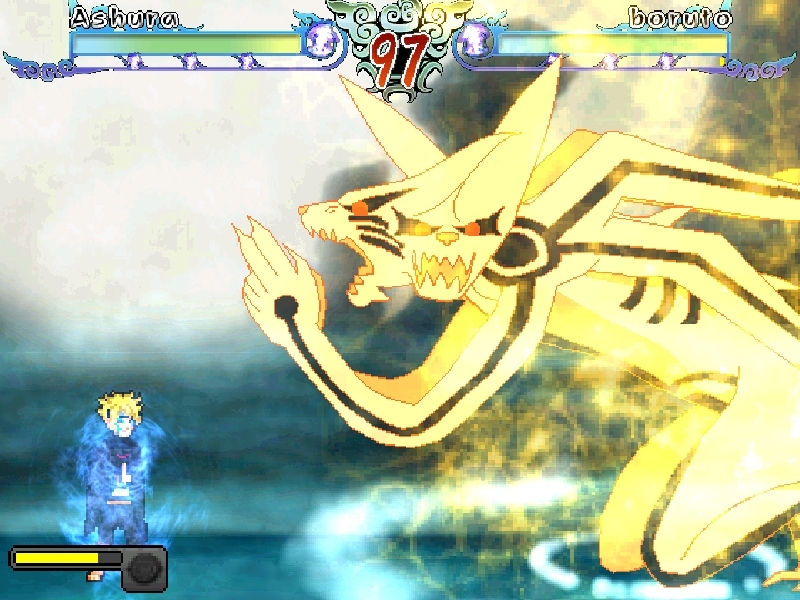 Naruto Storm Mugen 5 is a classic fighting game created on the Mugen engine by One Ruto. 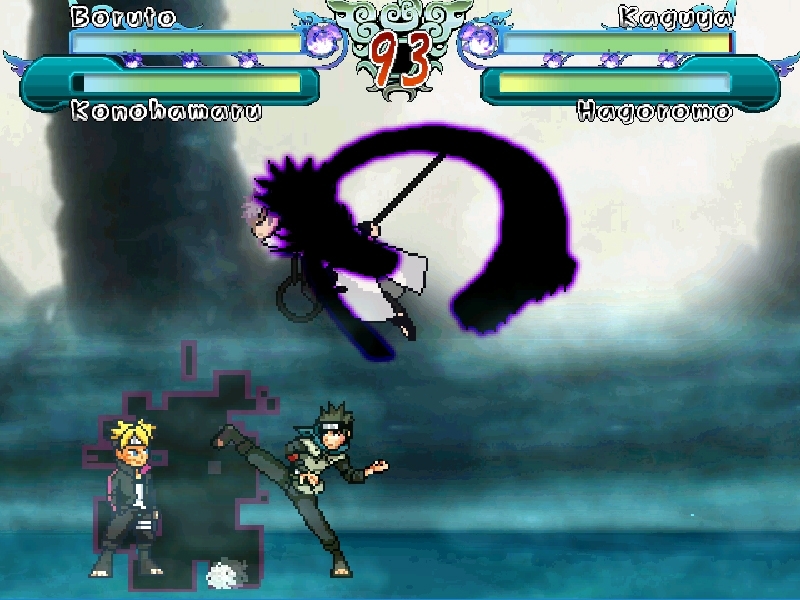 Like most games of this type, it's not an unique project but a package of characters and stages created by the game's author, as well as other fans who share their work on their blogs and Mugen forums. 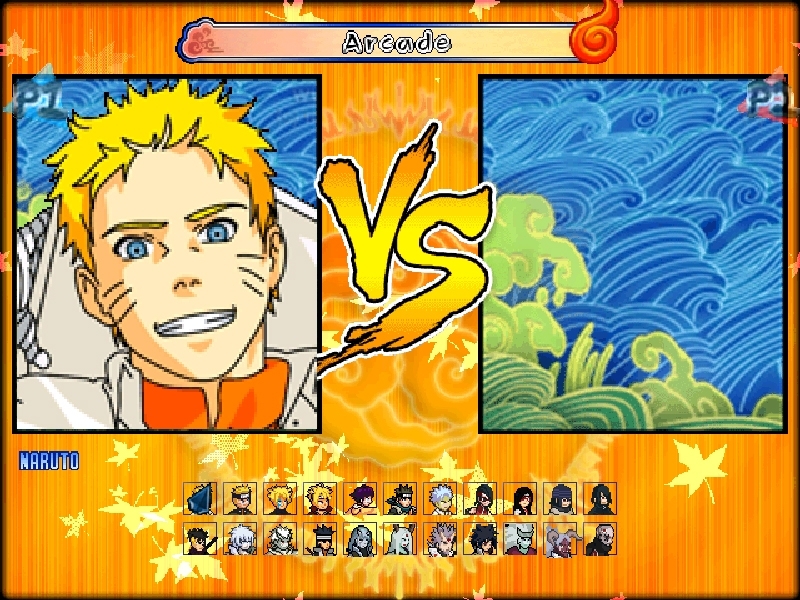 You can choose from 22 playable characters known from all Naruto series, from the very beginning of the series, through Naruto Shippūden and 4th Great Ninja War, to the adventures of Boruto and his friends. The struggles take place on 6 different stages. 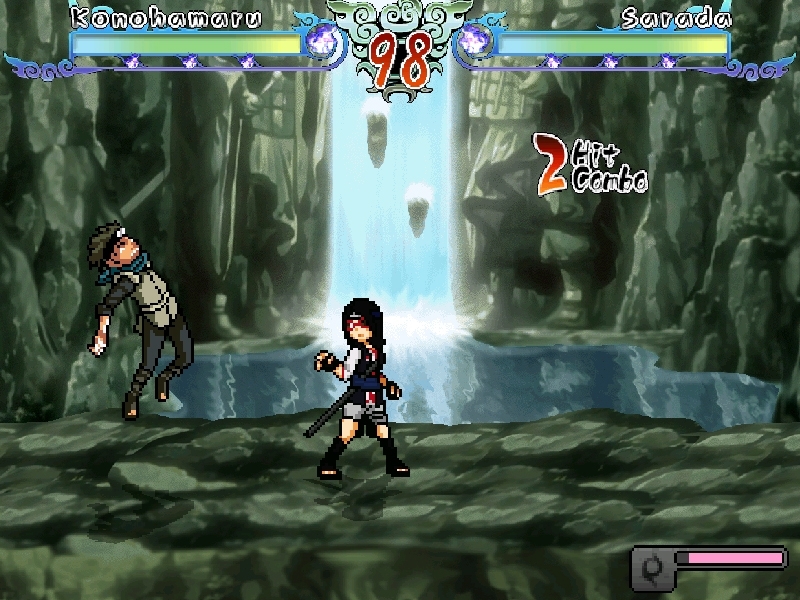 The game includes all the modes typical of the Mugen engine. 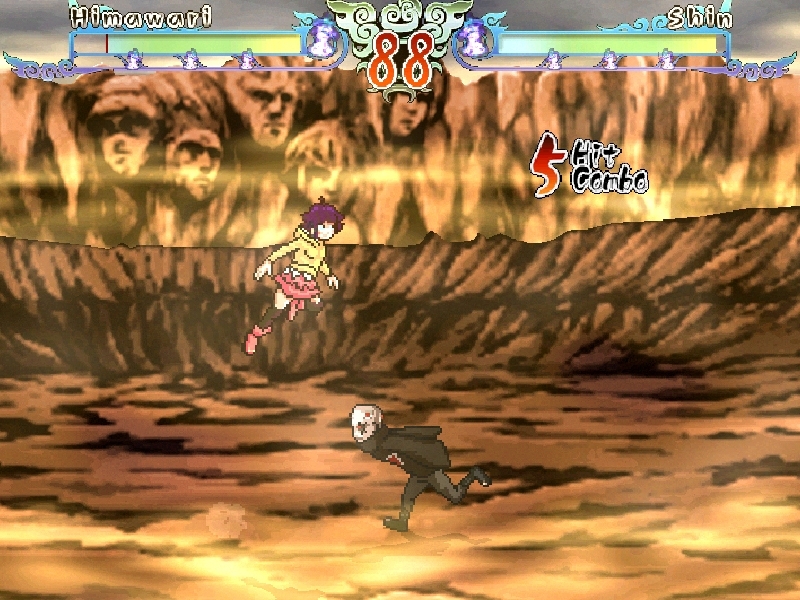 You can test your skills in a classic tournament, team battles or in Survival mode. 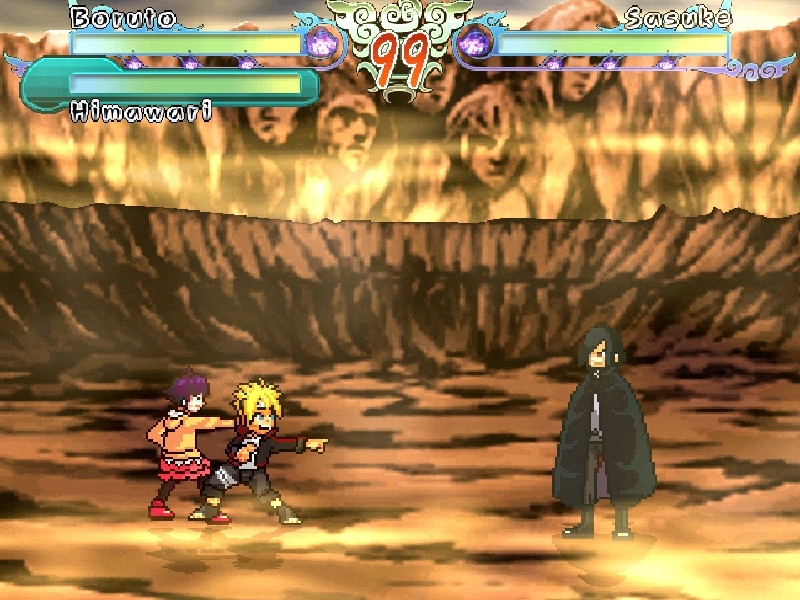 The game also has an exciting multiplayer mode in which you can fight against your friend or create a team and face opponents controlled by computer AI. 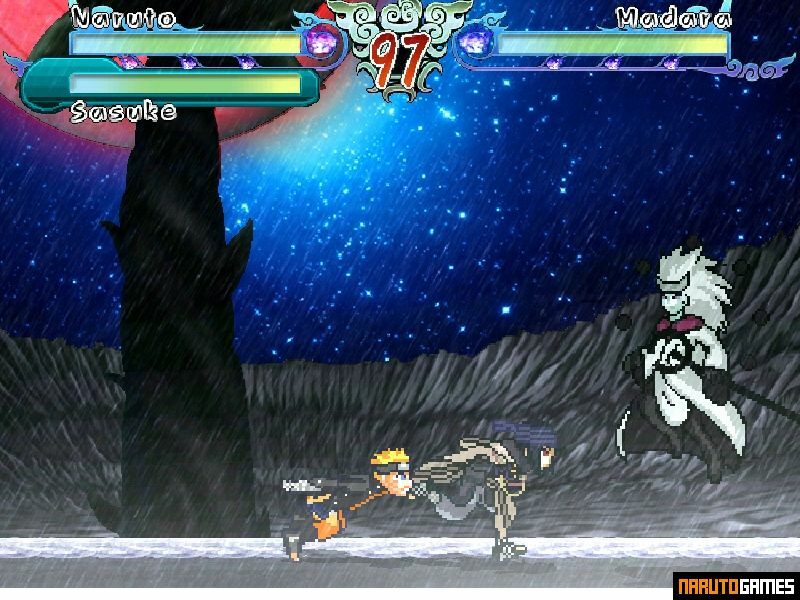 Like most Mugen games, this one also has an uneven level of difficulty. Some opponents will practically be standing still and waiting for your hits, others will not give you a chance to make the slightest mistake. However, this is the charm of these games. 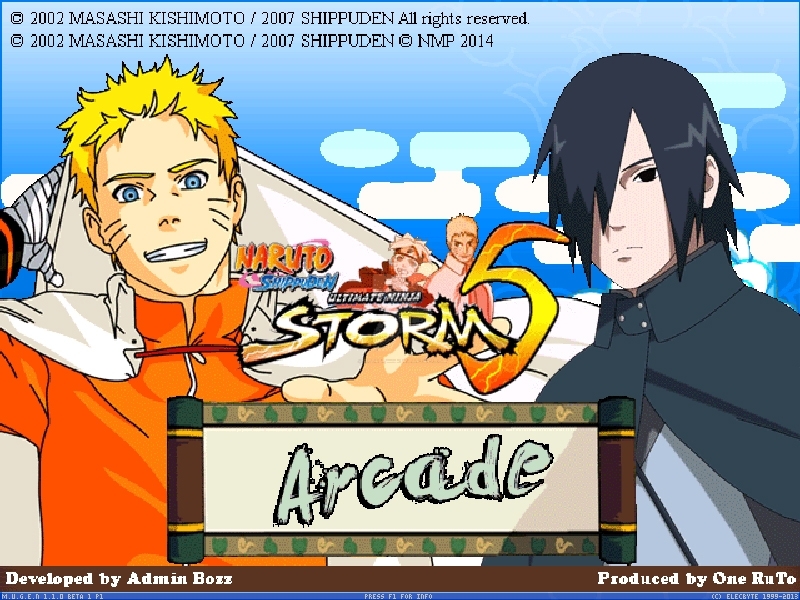 Run Naruto Mugen Storm 5.exe in the main game folder.